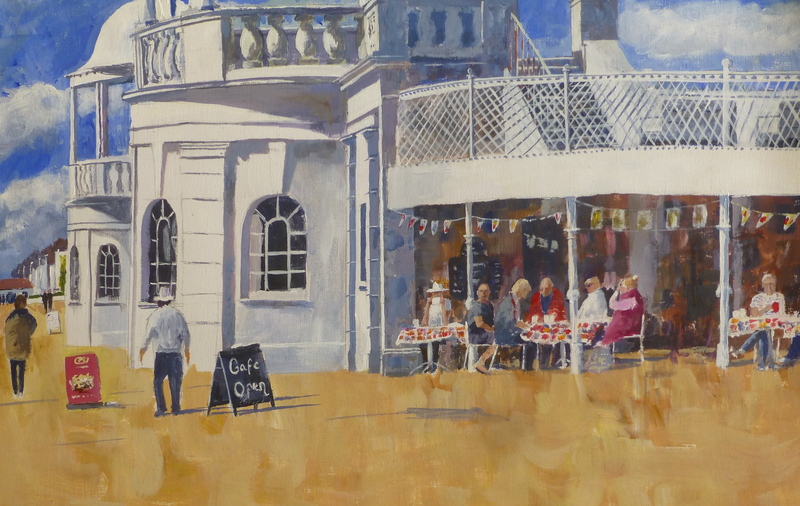 This entry was posted in acrylic, beach, Bexhill and tagged acrylic, acrylic painting, acyrlic, Bexhill, cafe, delawarrpavillion, seaside. Bookmark the permalink. Great stuff, Graham, as always! I enjoy how the shadowy wall almost splits the view into two cohesive images. Labour perhaps, but I think the graft on the architecture paid off; your execution of its lighting is marvellous. Oh Graham, this is just plain fun. You captured all that wonderful light and I like studying the people. This one makes me feel happy. Thanks, from your, and the other, kind words I might have another go. It wasn’t the right time for me to start this work and it became a chore to finish. But it might be worth another go.